Archive "Stationary Tennis Ball Basketball Dribbling Drills"
Stationary tennis ball basketball dribbling drills are great because they can be done pretty much anywhere that there is a flat surface. This works well for players looking to work on their handles in their driveway, or for basketball coaches that have a limited amount of gym space for practices or basketball training. 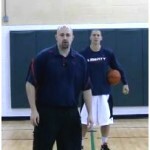 All of these basketball drills come with HD video and text format explaining the drill and how to do it. All of Basketball HQ’s contributors have either coached, trained, or played at a high level. That means that you can trust the training that you are getting and know that it is coming from an expert source. Tennis ball toss drills are going to force the player keep their eyes up while dribbling the basketball because they have to repeatedly toss and catch the tennis ball. This is especially useful for youth basketball players that are constantly wanting to look down while dribbling the ball. The reason it works so well is because the player has no choice. If they try to look down while they are doing the drill then they will not be able to handle the tennis ball. Along with training the player to keep their eyes up while dribbling, the drills also work on hand eye coordination and overall ball handling. Some of the drills require the player to dribble the basketball from hand to hand while the tennis ball is up in their, this requires great hand eye coordination and also quick hands. 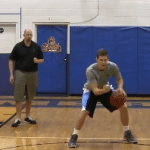 These stationary tennis ball basketball dribbling drills will help take your basketball team’s handles to the next level. As a player it is sometimes hard to find the space or time to work on your game and develop your skills. Well with these stationary tennis ball dribbling drills you do not need very much space at all and in 15-20 minutes you can get a good ball handling workout in. Just like when doing any of the basketball dribbling drills that you do, you’re only going to get out what you put in. That means that you need to be challenging yourself to go as hard as you can, and to get out of your comfort zone. 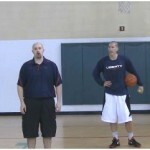 The basketball training videos below require a Pro Membership to view. However you can sign up for a free 7 day Pro Membership Trial today and get full access to the entire website. The in and out tennis ball drill is going to help the player work on a specific move, but also improve their overall dribbling skills. 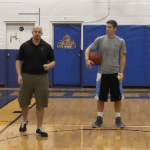 The pound toss tennis ball drill is a beginner drill for younger players to do, or for older players to warm up. This tennis ball drill is going to add a tennis ball to the side windshield wiper move to make the drill more challenging for the player. This tennis ball drill is going to incorporate at tennis ball into the windshield wiper dribble drill. This tennis ball drill is going to work specifically on the behind the back move, but it will also help to improve the players overall handles as well. This tennis ball drill is going to work on the between the legs dribble move, as well as the players hand eye coordination and overall handles. 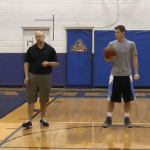 The cross toss tennis ball drill is going to help you really develop quick handles and a lightning fast crossover. This tennis ball drill is going to work on the reverse between the legs move, the players overall handles, and their hand eye coordination. 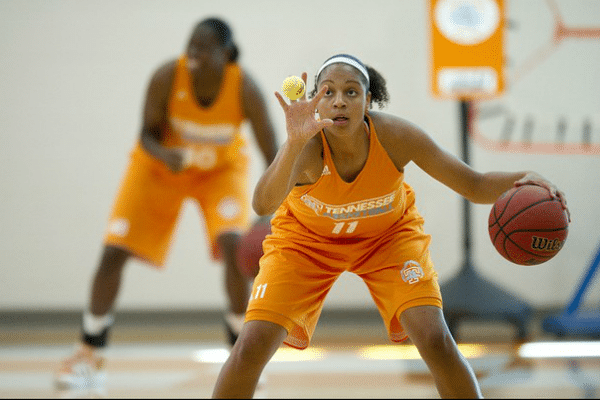 The idea behind the tennis ball dribbling drill is to force each player to get outside their comfort zone and go their absolute fastest and hardest during the drill. This is a really good tennis ball basketball dribbling drill to help you work on your handles but also push you out of your comfort zone. This tennis ball drill is going to help the player develop their handles and work on their hand eye coordination. This tennis ball drill will the player learn how to do a combo move, but also help them develop their over all handles and coordination. 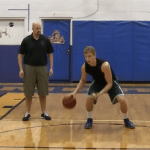 This tennis ball drill is going to work on the between the legs crossover move, but also help the player to become comfortable dribbling with their eyes up. 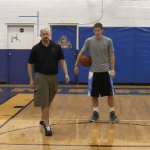 The double behind the back toss tennis ball drill is an advanced dribbling drill that will work on a specific move, but also the players overall handles. The double between the legs toss tennis ball drill is going to help you work on your ball handling, while also working on a specific move. The double cross toss tennis ball drill is going to work on developing quick hands, as well as the double crossover move. 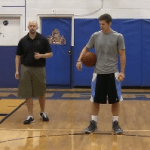 This is an advanced basketball tennis ball drill that will work on being able to make quick moves with the basketball while at the same time tossing and catching a tennis ball. The reverse between the legs crossover toss tennis ball drill is going to help the player work on their handles and a specific move. 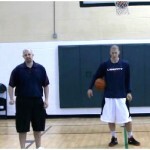 This is an advanced tennis ball drill that is going to incorporate four different moves all into the same drill. 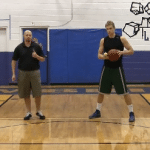 This tennis ball toss basketball competition drill will help you do that because you are trying to win against your other teammates. 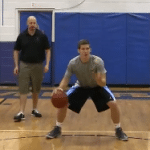 The kill the grass tennis ball dribbling drill is going to challenge you and put you out of your comfort zone while handling the basketball. This basketball competition drill is a great way to get players to give 100% and work as hard as they can, and to work on their handles. This is one of the more advanced tennis ball toss basketball drills because you have to do a sequence of 4 different moves in a row and is a competition.